For the early warning of smoke forming flaming fires and smoldering fires. 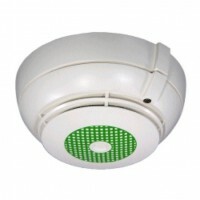 With increased sensitivity for use in air sampling smoke detection systems. Four stages of danger enable the activation of different measures as well as early warning in the event of incorrect application. Self testing. Periodically or upon command the detector carries out a thorough self test. Algorithms. Special computing procedures in the detector processor enable evaluation according to application criteria by optimizing smoke sensitivity, immunity to interference and operational reliability. 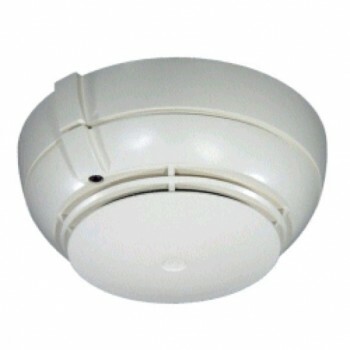 In addition the false alarm rate at constant detector sensitivity is considerably reduced. Compensation of measured values enables the detector to maintain a practically uniform level of sensitivity throughout its entire operating life. 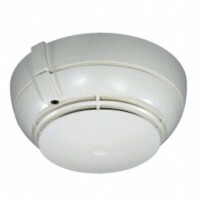 Built in response indicator provides on site signaling of alarm.